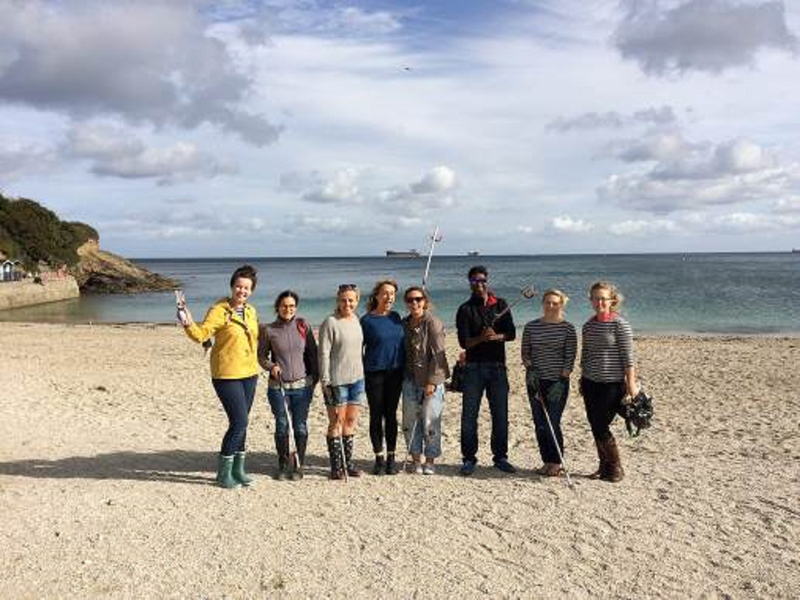 Forget The Great British Bake Off, how about joining in The Great British Beach Clean? What is the Great British Beach Clean? The Great British Beach Clean event is organised by the Marine Conservation Society (MCS) each year and gets people together to pick up rubbish on beaches around the UK coast. Natural England was keen to support this event, as it helps our aim to protect and conserve the marine environment and its species. 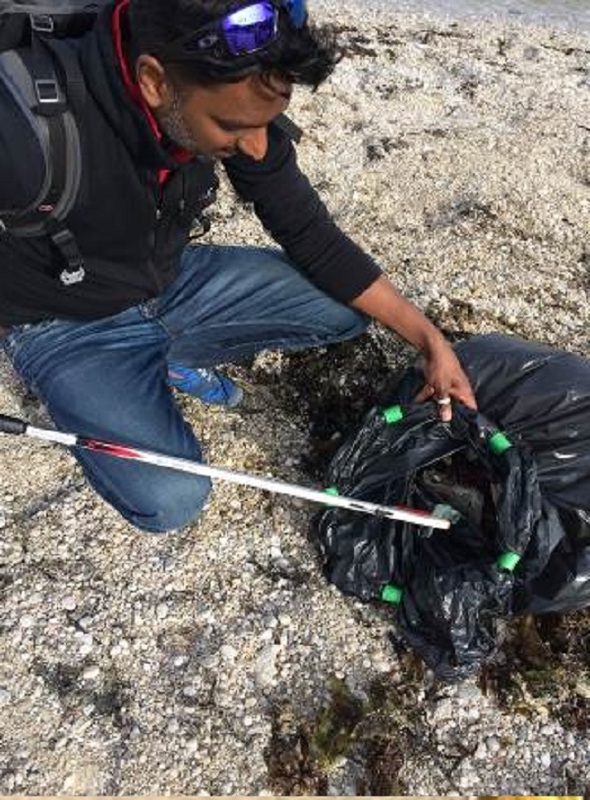 My colleague Awantha Dissanayake and I travelled from Devon to Cornwall to join a beach clean at Swanpool Beach, near Falmouth, on Friday 16 September. 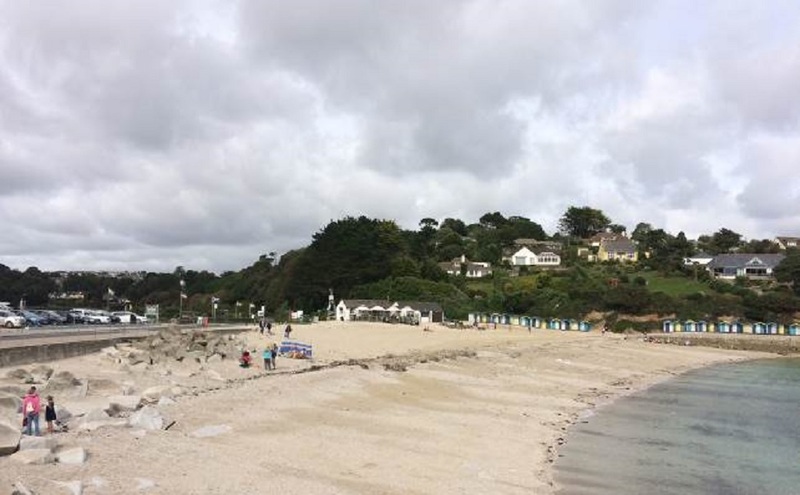 Swanpool Beach is on the more sheltered south coast of Cornwall, close to Falmouth town, and within the Fal and Helford Special Area of Conservation, a marine protected area with reefs and other rare habitats that support a variety of marine species. It’s a small but pretty beach with a nature reserve close by. When we arrived the beach looked spotlessly clean and we began to wonder how we’d be kept busy for an hour and a half searching for litter on a litter-free beach! There were nine volunteers in total. The others all live and work locally in Falmouth, so they were surprised that we’d travelled so far to join them, but happy to have us there. After a health and safety briefing, we split into four smaller groups and, armed with litter pickers, gardening gloves, bags and recording sheets, we set out to clean up the beach. What was surprising was how much litter we actually managed to find dropped or washed up on a seemingly ‘clean’ beach, including glass, wood, metal and plastic - lots of plastic. We found plastic bottles and food packaging, plastic from manufacturing processes, domestic plastic, cigarette ends and filters, and bits of fishing line and fishing net; artifacts of our plastic age competing with the sand and gravel. If all this stuff can be found on our cleanest beaches, then the problem’s more serious on our larger, more exposed and less well-tended beaches. It is worrying, especially when we know how long it takes for a plastic bag to degrade, and how harmful the broken down microplastics are to marine life. The enormity of the litter problem we’ve created around the world can feel overwhelming. But there are lots of things you can do to help. Join one of the beach cleans organised regularly by MCS, or organise your own with friends and family. Surfers Against Sewage has a great new initiative with the Beach Clean Box. It’s an eye opener to see what litter is out there on our beaches, and a challenge to work out exactly what some of the items are, and where they’ve come from. At Swanpool we became plastic taxonomists for the day, met new people, got lots of exercise and felt like we’d contributed. Even if it’s only in a small way, it all adds up. Last year's Great British Beach Clean had 5,848 volunteers taking part, and they picked up approximately 3,298 items of litter per kilometre. Read more here about how to join in next year.